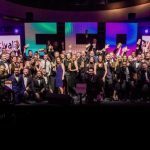 With the entry process now well underway for the Festival Supplier Awards 2019, organiser Eventive Media Ltd has announced the first wave of judges for the 2019 event. Now in their fifth year and firmly established as the first networking event of the year, the awards recognise the achievements and excellence of the entire festival and outdoor event supply chain. They’ll return to London’s Hurlingham Club on 31st January 2019. Harry Guthrie, HGEP; Beckie Parsons, Judge Day and Jon Drape, Ground Control make a welcome return to the panel of industry heavyweights. Whilst Denis Dooley, New Forest Show; Suzy Griffiths, IMG Arts & Entertainment; Tom Sabin, Vision Nine; Jenny Godding, Festival of Speed; Alasdair Fowle, Co-op; Craig Greaves, CSG Events and Ben Hardy, Richmond Event Management all join the stellar line-up for the first time. The Festival Supplier Awards prides itself on having a well-respected, highly experienced and knowledgeable judging panel. It is absolutely key to their overall credibility and success. Companies entering the Festival Supplier Awards are assured that their hard work and efforts are being judged by a set of people who are at the heart of our industry and understand the pressures and challenges that they regularly face.